Reformatted into 3 Modules for easier scheduling. Take individual modules or take all 3 and receive the Green Gardener Qualification! First module begins Tuesday, Nov. 28, and Registration for Module 1 is open until noon on Friday, November 24, 2017. Hear about recent successful field studies in irrigation reductions from around the state, including San Joaquin County. Learn how to make the most of your landscapes with less water. Covered principles of sustainability through the continuum from Design, through Construction and Maintenance. 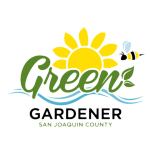 Attend all 8 evening sessions, 2 half-day Saturdays and pass a final take-home exam to receive a certificate and be listed on the County's website list of qualified Green Gardeners! In depth courses from UC Davis Extension :CLICK HERE.